In human consciousness, there is a rising frequency vibrating toward an endless range of possibilities. After more than 20,000 intuitive sessions with my beloved community of beings, seen and unseen, I am thrilled to see signs of the evolution of the collective consciousness. We have heard or read that times will come when we will all look after one another, and cure and nurture our world. 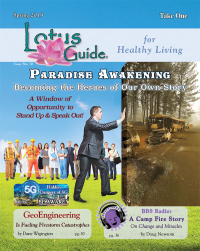 The Debut of Paradigm Shifters talk show with Veronica Entwistle on BBS Radio! The Debut show of Serenity -A service for your well being with Peggy Nichols on BBS Radio!